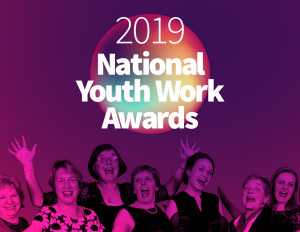 The deadline for nominating for the National Youth Work Awards is fast approaching (Monday 26th November). We know all of you have been involved in great projects, working with fantastic young people and we want to make sure your work is celebrated. And finally, the Lifetime Achievement award. This award is in the gift of the Board of YouthLink Scotland. Nominations may be submitted in the normal way or via the YouthLink Scotland Board. It’s important (mandatory) to include the voice of a young person in the nomination.